How can archaeology tell us about the past? How can archaeology tell how people use space and the landscape? How can we use the past to understand people? How do archaeology and ‘heritage’ interact? What role does archaeology play in society today? How do we practice archaeology? Drawing on the experiences of practising archaeologists, with engaging examples and studies from sites around the world, this book gives the reader a sense of what is it to study archaeology and be an archaeologist. 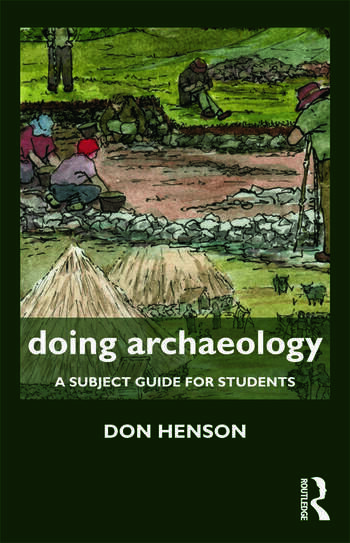 An essential text for students studying A-Level archaeology, those considering or beginning a degree/foundation degree in archaeology, and those of all ages interested in volunteering or becoming involved in archaeological projects. Don Henson is Honorary Lecturer at University College London and was Head of Education for 17 years at the Council for British Archaeology. He is currently Chair of the World Archaeological Congress Public Education Committee, Director of the Centre for Audio-Visual Study and Practice in Archaeology at University College London.